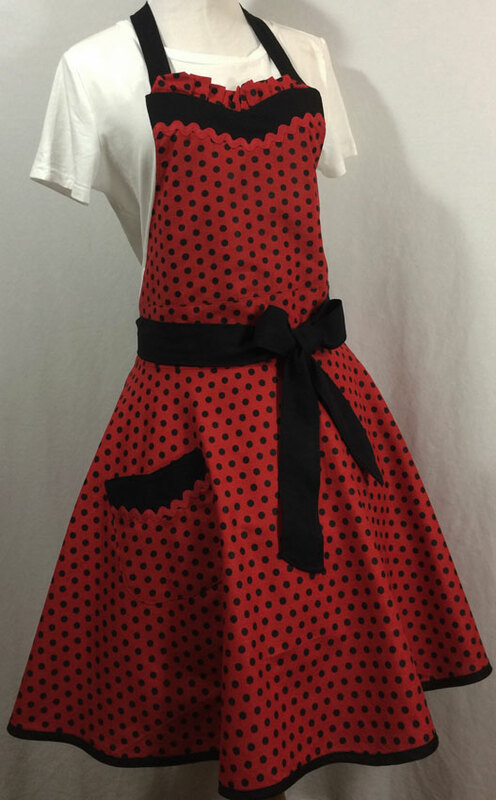 Oh, we are having fun creating these lovely vintage style pin up aprons. 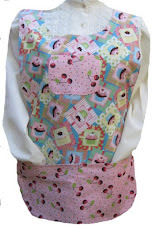 More aprons will be added over the next two months. We love this cute two tiered white hearts against the pink background. 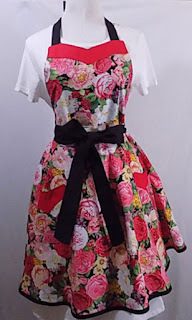 This rose floral apron is beautiful and stunning to the core. 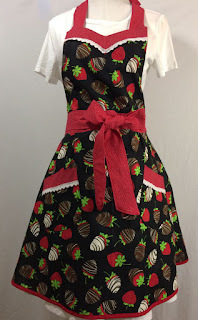 Only two of these aprons available. 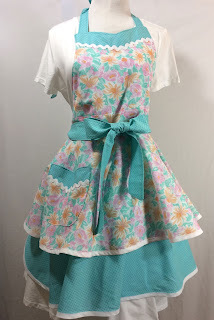 We love the aqua bottom skirt and the beautiful aqua floral print fabric. Now, if you like chocolate strawberries, you will surely like this apron. 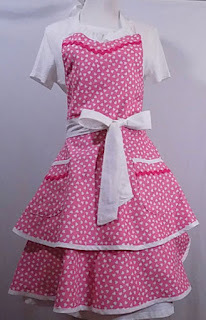 The black polka dot apron, set against the red background is a one-of-a-kind and it sure is a beautiful apron at that.